Kids rock when you show compassion, respect, courage. Kids rock when you listen, and are polite and honest. Kids rock when you pick up after yourself, brush your teeth, exercise, and say 'please' and 'thank you'. Find your own pair of 'goodie two shoes' that makes you feel good from head to toe! 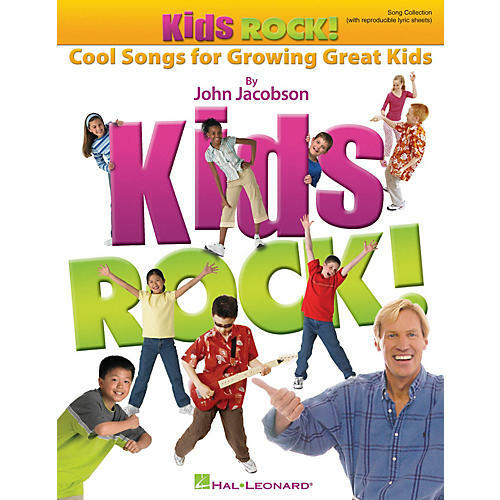 This rockin' collection of 12 songs for grades K-2 comes complete with piano/vocal arrangements, choreography and reproducible lyric sheets. Checkout the Classroom Kit for extra value! These songs are a perfect 'fit' for young singers everywhere! Available: Song Collection (with reproducible lyric sheets, Performance/Accompaniment CD, Classroom Kit (Collection and P/A CD.) For Grades K-2.